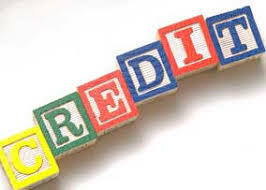 Credit is the trust which allows one party to provide money or resources to another party where that second party does not reimburse the first party immediately (thereby generating a debt), but instead promises either to repay or return those resources (or other materials of equal value) at a later date. In other words, credit is a method of making reciprocity formal, legally enforceable, and extensible to a large group of unrelated people. Credit is a contractual agreement in which a borrower receives something of value now and agrees to repay the lender at some date in the future, generally with interest. Credit also refers to an accounting entry that either decreases assets or increases liabilities and equity on the company's balance sheet. Additionally, on the company's income statement, a debit reduces net income, while a credit increases net income.